We're not going to say we don't love a big wedding, but let's be honest...it's not for everyone! If you're thinking about running away to get married, but are pretty sure your family would disown you or you want a private little ceremony, but you'd like something a bit more stylish than the courthouse, how about an Intimate Wedding here at The Citizen Hotel! 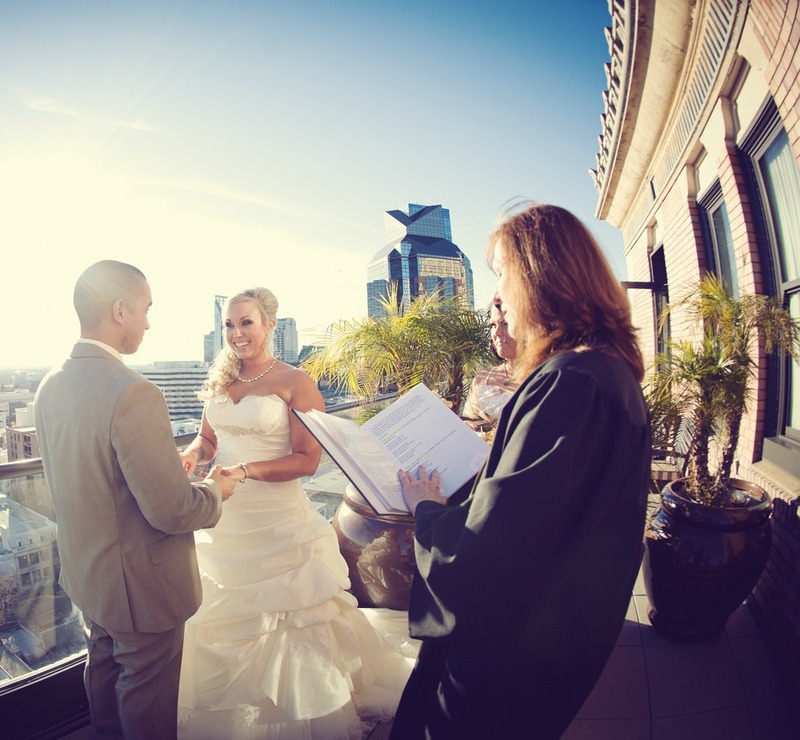 Get married with the city as your backdrop on the balcony of our Governor's Suite and let us handle the details. Whether it's just the two of you or up to 30 of your friends and family, we'll make sure you have the perfect, stress-free day you always dreamed of! Then, let the celebration continue! Enjoy more time with your friends & family with a private post-ceremony dinner in our restaurant Private Dining Room or Scandal Lounge catered by our farm-to-fork restaurant Grange. The dining room can hold up to 22 people at a family style table with Scandal seating up to 30 people at rounds. (Dinner not included in above price). Give us a call at (916) 492-4430 to schedule a tour today.